Persuasion matters in business. How effective we are at it reflects how well we understand the needs of others and communicate that understanding. As marketing communications shift online, knowing how to create persuasive email marketing becomes critical for business success. 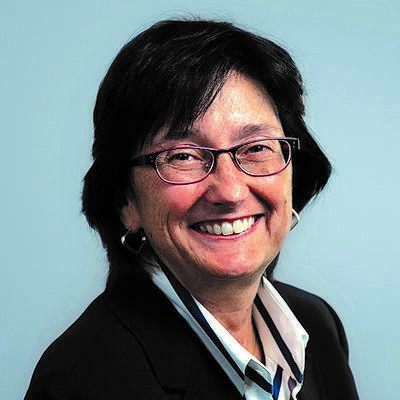 Nancy Harhut, whose insights inspired How To Write A Persuasive Email, is an award-winning marketing and advertising executive and persuasion expert. 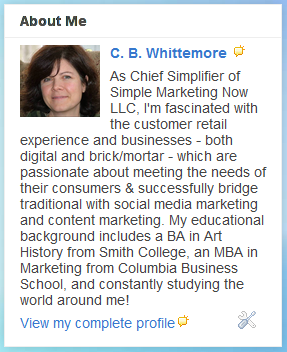 She knows firsthand the benefits of applying the science of human behavior to online marketing. Nancy shares her expertise in this blog interview. CB: Nancy, tell us about your background. What is your role at Wilde Agency? NH: I graduated with a degree in Journalism and a desire to write marketing copy. This was before content marketing was even part of the lexicon! So I became an agency copywriter and now serve as the Chief Creative Officer at Wilde Agency. Along the way I’ve also worked at Digitas, Hill Holliday and Mullen. CB: What is Wilde Agency’s specialty? NH: Wilde Agency specializes in the impact of behavioral science on marketing. We take what social scientists and behavioral economists have found about the “auto-pilot” way people make many decisions and apply it to our digital and direct marketing campaigns. This approach increases the likelihood people will do what our clients want them to, often resulting in double and triple digit lifts over their controls and benchmarks. CB: How different is persuasion online compared to in print via direct marketing? NH: Many of the techniques we draw upon could be considered channel agnostic in that they can be used online, offline, and in person. Essentially, they all take into account the decision-making shortcuts human beings are hardwired to default to, as well as the cognitive biases we’ve all developed. For example, social scientists have found that people are twice as motivated to avoid pain as to achieve gain. That could impact how you write a subject line or OE (outer envelope) teaser or how you frame a conversation. That said, online can be something of a persuasion playground for a marketer in that people make decisions in split seconds and results can be had so quickly. CB: What goes into crafting persuasive online messages in a crowded digital environment (especially emailboxes!)? NH: The most persuasive emails are the embodiment of dozens of small things done right. Both your sender and subject line influence whether an email gets opened. How you craft your subject line – the words you choose (some automatically attract the human eye), the order you place them in, the length of the line – all have major impact. Once someone does open your email, the way it looks, how quickly it loads, and the first words they see all help determine whether the target engages or not. Beyond that, triggering the Scarcity Principle, the Availability Bias, Social Proof or any of a number of other behavioral science principles can make a huge difference in how persuasive your message is. Will someone feel they’ll miss out if they don’t open the email? Will they feel the sender’s described a situation they can readily call to mind? Will they get the sense that people like them are interested in the message? The other things to keep in mind with email are that people read about 25% more slowly online, and that once an email drops down out of sight on someone’s screen, there’s a very good chance it also disappears from mind. So getting that immediate open is important. As is succinctly delivering your message. CB: Where online is persuasion most effective and what’s the best way to measure that? NH: Email open and click through rates, landing page metrics and ecommerce site sales can all be good measures of the effectiveness of online persuasion. Each represents an instance of marketers looking for some kind of immediate action or response. And testing various elements – for example button size and placement, call to action copy or credibility markers – can produce considerable swings in your numbers. CB: What principles of human behavior do online marketers tend most to ignore? NH: Two come quickly to mind. 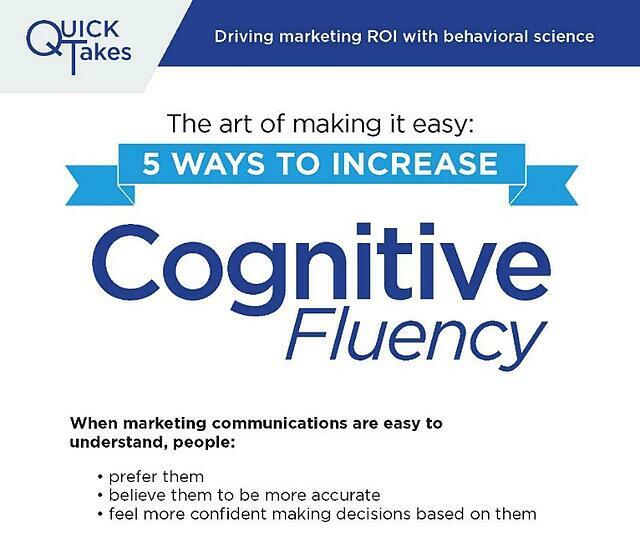 The first is Cognitive Fluency – the idea that people prefer things that are easier to think about and understand. Too often online marketers ignore this by having long wind-ups before getting to the point. Or by using industry jargon the reader’s not familiar with. Or by jamming so much into their layouts that the reader’s not sure where to look. Each of these creates friction and increases cognitive load – essentially they make it harder for the recipient to absorb the message. The other human behavior principle I see ignored often has to do with eyes. People are hardwired to look at another person’s eyes. We’re drawn to them. We’re compelled to either make eye contact or to follow someone’s gaze. Yet frequently I see images where people look off the screen or down toward nothing important. The best way to use a picture of a person is to either have them look out at the viewer to make eye contact, or to have them look to an important part of the page, such as the order form, the offer, or the product. CB: Which ones get abused? NH: George Lowenstein coined the term “information gap theory.” Simply explained, if someone finds a gap between what they know and what they want to know, they’ll take action to close that gap. This is valuable learning for marketers, as we’re all about getting people to take action. So writing headlines, subject lines, content titles, etc. that use this finding makes sense. However, the abuse happens when things cross over into clickbait – when the line promises something the reader wants to learn, but the resulting copy doesn’t deliver. CB: As a fan of Robert Cialdini, what do you admire most about him? NH: I love his work – particularly his first book “Influence: The Psychology of Persuasion.” He wrote it 32 years ago, and it is still incredibly relevant today. He spent three years working at used car dealerships, in fundraising, and as a telemarketer to formulate his six principles of influence. How cool is that? CB: What about Ellen Langer? I’m enjoying her thoughts on mindfulness. NH: Ellen Langer is my “because” hero. In 1978 she conducted a study that revealed the word because is a compliance trigger. When people see or hear the word because, we often just assume that the phrase that comes next is a good, valid reason – without fully processing it. We automatically start to nod yes. CB: What books/blogs/resources do you recommend? NH: I enjoy Roger Dooley’s Neuromarketing blog, Robert Cialdini’s Influence at Work blog, and Dan Ariely’s Wall Street Journal column. The book “Nudge” by Sunstein and Thaler is also terrific. And of course, people can always check out Wilde Agency’s blog and social posts, as we frequently write about social science in marketing. 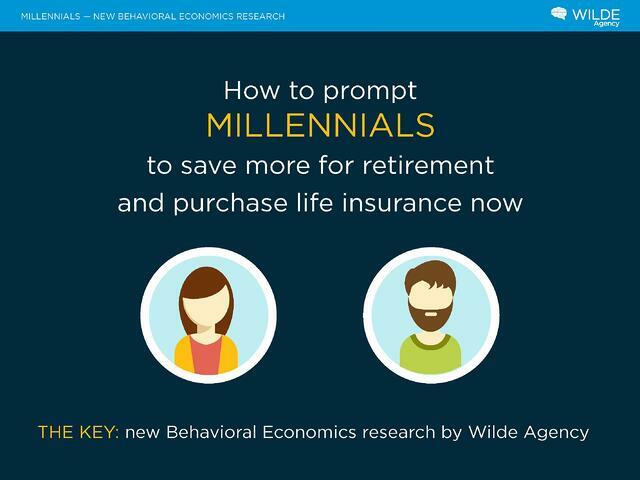 In fact we just completed some proprietary behavioral science research identifying boomer and millennial buying triggers in the insurance and finance verticals. 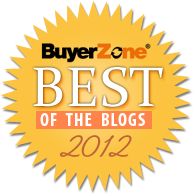 CB: What advice do you have for someone wanting to truly create meaningful and persuasive email marketing? NH: First, remember that people are more interested in themselves than in anything else. So make sure your emails talk about what they want to hear, not what you want to say. Put yourself in your target’s shoes. Think like they do. Make your message about them – their needs, their pains, their dreams. Use the word “you” way more often than “I,” “we” or “our company.” And optimize for mobile, as over half of email opens now happen on mobile devices. Second, keep in mind that people are hardwired to take the easy, simple route. We don’t like to exert a lot of mental effort – it doesn’t come naturally to us. So make things easy to read, easy to understand, easy to do. A 2015 Worldata study showed that emails and landing pages that share the same main image deliver 27% higher overall conversion rates. Why? People get the immediate reassurance they’ve clicked to the correct place. Again, make it easy. Finally, accept that people cannot accurately predict what they’ll do -- or honestly tell you why they did something. They may think they can. But research has shown that people don’t really know why they behave the way they do. They often aren’t aware of their decision defaults and cognitive biases. So create your emails -- and all your marketing -- with the science of human behavior in mind. Factor in the automatic behaviors and mental shortcuts people rely on and you’ll increase your persuasive powers considerably. CB: How can readers contact you? NH: Thank you for asking! People can follow me on twitter at @nharhut or connect with me on LinkedIn. Also, I’ll be speaking at four conferences this March: directXchange, SXSW Interactive, LeadsCon and Email Evolution. In May I present at the Content Marketing Conference and in July at the DMAW Bridge Conference. Please say hi if you attend any of these informative events. CB: Thank you, Nancy! I'm looking forward to spending time with you at Marketing Profs B2B Conference in October. What's your reaction to Nancy's recommendations? How might you apply these ideas to your online marketing to make it more persuasive? Let me know in the comments.